This building used to be the Angel Hotel. Now redeveloped to include this popular bistro style cafe, but today a bit too chilly to sit outside! 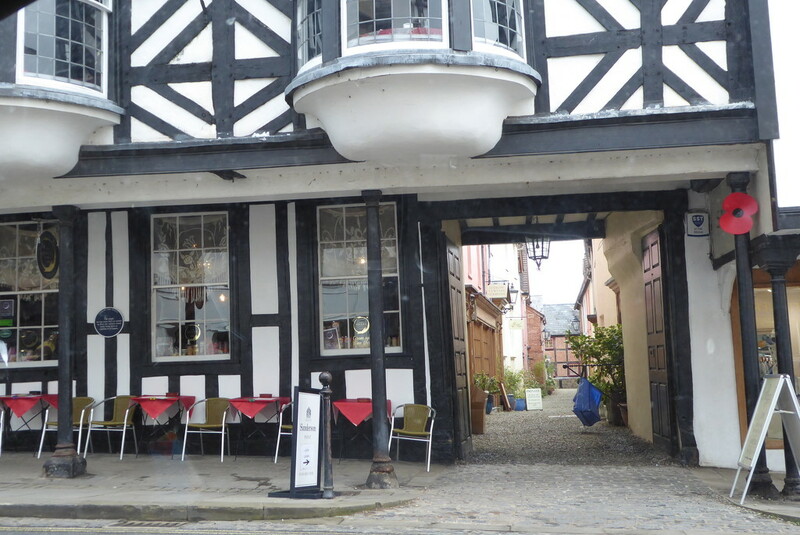 I love the buildings in Ludlow, this is gorgeous. It looks like a charming spot to sit and watch the passing parade.